As part of a challenge from MLH Hackathon from Vitech- a tech industry for insurance systems, to analyze their dataset to find key insights and make predictions. Visualizes the hidden patterns and behaviors of customers and provides key business insights. Predicts what type of insurance plan a customer might buy. 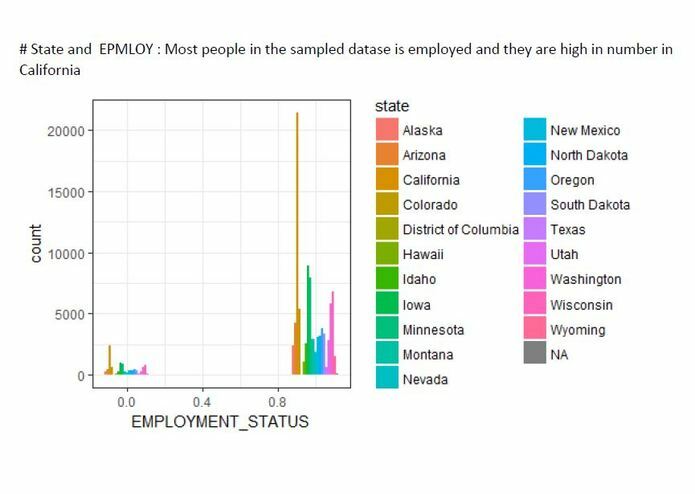 Using R and Python for analytics part and Shiny for web UI. Data preparation(gathering, cleaning and re-organizing) was one of our biggest challenges. And model training, as the dataset had 1.4 million records. 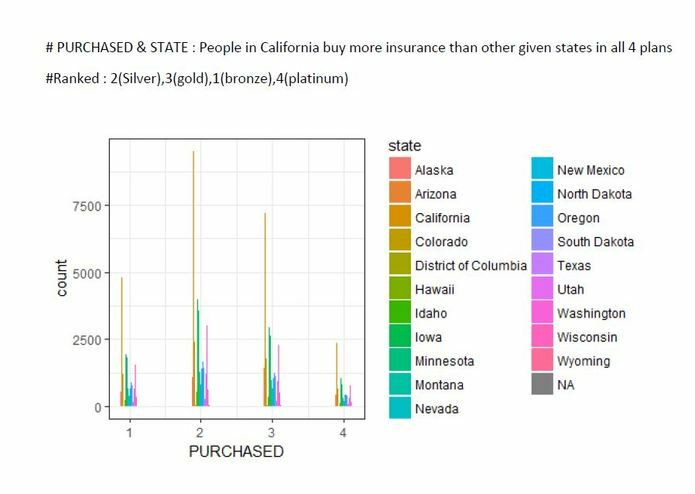 Found which state buys most plans and what makes them buy more. A lot. How to pull more than a million records via an API request and how dirty the real world data could be and how to make it clean . Training a model (XGB) in a parallel environment to decrease execution time. Hyper parameter tuning to find optimal parameters for the model. Developed visualizations to find key insights about customer behaviors and demographic trends. Trained a predictive model (using XGB model) to predict waht plan a customer might buy. Data enthusiast with three plus years of experience in software development and who is passionate about telling stories from data. Worked on the R Shiny part. Learned this in less than 12 hours and implemented it! Goes to the University of Oklahoma. I worked on the downloading the data and a custom function to extract the data from the JSON files into pandas. Did basic EDA to understand the data like scatter plots and bar graphs for numerical and proportion charts for categorical. Also created the geographical plots to see the locations of the insurance customers.